You would be hard-pressed to find a fan of lender placed insurance. Your employees aren't fans because of the tedious workload involved in the process. Your borrower certainly isn't a fan. While it is necessary, and protects your investment and your borrower in the event of loss, placing an often expensive insurance policy can create strife between you and your borrower and add an unnecessary burden on your staff. ​​The borrower simply does not have a homeowners insurance policy. When a borrower's insurance isn't escrowed into their mortgage, it is very easy to let it get pushed to the back burner. Unlike utilities that can get shut off due to lack of payment, or a car that can be repossessed when the loan is not paid, homeowners insurance is one of those bills that if you don't pay, you don't feel the immediate affects. Either because they simply did not purchase a policy, or due to cancellation from lack of premium payment, this is the #1 reason why uninsured homeowners become force placed. The lender (i.e., you) did not received proof of insurance coverage. 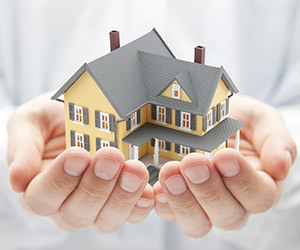 In this situation, your borrower does indeed have a homeowners insurance policy in place; however, your institution has not received proof of coverage. This is clearly an unfortunate situation for all parties involved—your institution now has to deal with the administrative tasks associated with force placing insurance, and your borrower has to deal with the hassle of submitting proof of insurance and requesting a refund for any fees paid on duplicate coverage. There is a homeowners insurance policy in place, but the amount of coverage is insufficient. Your borrowers are required to maintain adequate coverage on their home to cover the loan in full in the event of a calamity. If for any reason their coverage changes, and it no longer meets the legal minimum necessary to protect the property, the uninsured homeowner would become force placed. New mapping for flood moves the property into a flood zone, and the homeowner may not have been aware of it. According to floodsmart.gov, there is typically a six- to 12-month timeframe between when preliminary maps are issued and the time they are implemented. If a homeowner is not keeping track of flood zone changes, they could be unaware that their homeowners insurance requirements changed. The homeowner didn't receive and/or neglected to read their mail notifications. In this digital day and age of electronic statements and automatic bill pay, it's not uncommon for a homeowner to not regularly check their mailbox. You are required to send your borrower notices that they are uninsured, but if they don't receive them-either because they get lost in the mail, or they are delivered but aren't read by the homeowner—you would be legally justified to force place insurance on the borrower. While you have little control over the reasons why, or the frequency that your borrowers become un- or underinsured, you can stay in control of your institution's insurance tracking and placement process.